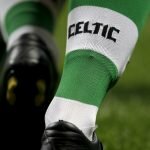 Should Celtic cash in on Kieran Tierney? As per recent reports in The Mirror Everton are the latest club said to be monitoring Celtic’s left-back sensation Kieran Tierney. It would undoubtedly take a massive bid to persuade the Glasgow club to sell the talented 21-year-old who still has five years to run on his contract at Celtic Park. The young left-back has been a central figure for Celtic this campaign with the player going on to win the Scottish Football Writers’ Young Player of the Year award for the third successive season. At the close of the season, Brendan Rogers himself conceded that it is not a certainty Tierney will be at Parkhead come September, admitting that if a big offer was to come in, there is a conversation to be had. 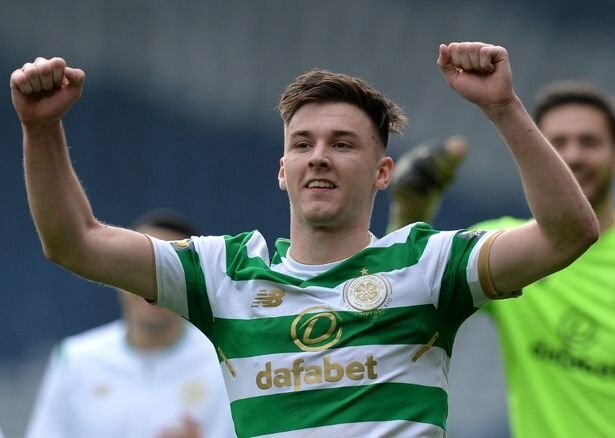 Tierney himself has played down speculation and has always maintained that he he is happy at Celtic – the club he has been with since the age of seven. While Tierney is happy for now, as Rodgers acknowledged a big offer to the club could change everything. Reports in the press speculate bids will come in between £10 and £30 million. If that is to be believed then Kierney could well double Scotland and Celtic’s record for the highest transfer fee received – currently held by Wanyama’s £12.5 m move from Celtic to Southampton. What do you think Celtic fans? Should Celtic try to keep hold of Tierney at all costs or should the Hoops cash in on the youngster while he is in hot demand? The speculation surrounding KT shows what would have happened to players like McGrain or McStay if they were breaking through in today’s football world. Like those two, Tierney would love to play his whole career for Celtic, but, unlike them, he won’t be able to. The financial and footballing gap between Scotland and the England PL is now far too great. If there is an offer of over £30 million, I think Celtic will look to sell him. KT won’t want to leave, but in that scenario, probably will go. I hope we get another year or two out of Tierney. I also think he could benefit from that, as he isn’t the finished product. But the big, big money that is being bandied around here, if true, will speak much louder. I thing KT will stay for another season as he will progress more under Rodgers. However in saying that if a stupid bid comes in for him and I mean a bid of 30 million or more then I can’t see how the club can turn it down. That is more than we can earn for qualifying for the champions league. It’s a shame but the money offered in the EPL will be hard to turn down.